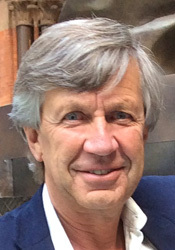 Rick Heede is the principal of Climate Mitigation Services and principal investigator of the Carbon Majors Project. He has worked in climate change and mitigation for thirty years, published books and articles on energy efficiency, testified before Congress on energy policy, and conducted GHG emission inventories and third party verification for municipal governments, educational institutions, the EPA, corporations, advocacy groups, and consultancies. He provided key components of the law suit filed by Friends of the Earth, Greenpeace, and four U.S. Cities against the U.S. Export-Import Bank and Overseas Private Investment Corporation for failure to observe NEPA with respect to global warming infrastructure damages. Sally Ranney is President of the American Renewable Energy Institute (AREI), Co-Director of the international Women's Earth and Climate Initiative, CEO of Stillwater Preservation, LLC, a wetlands mitigation banking company, founder/President of Rising Wolf Int'l, and co-founder and Anchor of A Matter of Degree, an internet program specializing in climate change as related to a variety of topics ranging from business and renewable energy, to food systems and weather. Carroll Muffett is President and CEO of the Center for International Environmental Law, a nonprofit organization that uses the power of law to protect the environment, promote human rights and ensure a just and sustainable society. Prior to joining CIEL, Carroll served as Deputy Campaigns Director at Greenpeace USA and Senior Director for International Conservation at Defenders of Wildlife. 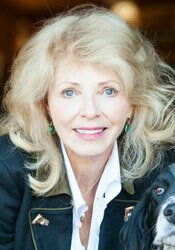 Carroll has authored numerous articles and textbook chapters on national and international environmental policy. He is an Adjunct Associate Professor of Law at American University’s Washington College of Law and a member of IUCN's Commission on Environmental Law. 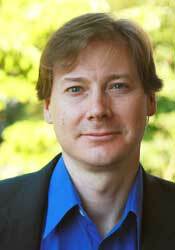 Dr. Michael MacCracken has been Chief Scientist with the Climate Institute since October 2002. 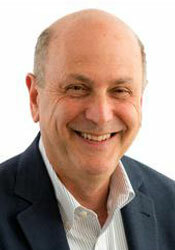 Mike has served in senior positions at Lawrence Livermore National Laboratory, U.S. Global Change Research Program, International Association of Meteorology and Atmospheric Sciences. He has contributed to the Arctic Climate Impact Assessment as well as all four assessments of the Intergovernmental Panel on Climate Change. In addition to his research, he has submitted six legal declarations in support of national efforts to limit climate change. Peter C. Frumhoff is director of science and policy at the Union of Concerned Scientists, and chief scientist of the UCS climate campaign. He ensures that UCS brings robust science to bear on our efforts to strengthen public policies, with a particular focus on climate change. A global change ecologist, Dr. Frumhoff has published and lectured widely on topics including climate change impacts, climate science and policy, tropical forest conservation and management, and biological diversity. Dr. Frumhoff has been quoted widely, including by The Boston Globe, Christian Science Monitor, The Guardian, National Journal, Newsweek, The New York Times, and The Washington Post, and has appeared on National Public Radio. 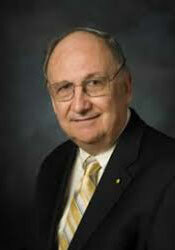 Dr. Michael E. Mann is Distinguished Professor of Meteorology at Penn State University. 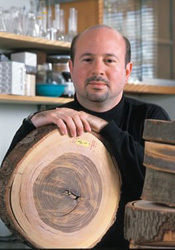 Dr. Mann has received numerous awards: contributing to the 2007 Nobel Peace Prize (with other IPCC authors), the 2012 Hans Oeschger Medal of the European Geosciences Union, the 2013 National Conservation Achievement Award by the National Wildlife Federation, Bloomberg News' list of fifty most influential people (2013), and the 2014 Friend of the Planet Award from the National Center for Science Education. He is a Fellow of the American Geophysical Union and the American Meteorological Society. Dr. Mann is author of more than 170 peer-reviewed and edited publications, and has publishedDire Predictions: Understanding Global Warming (2008) and The Hockey Stick and the Climate Wars (2012). He is also a co-founder and avid contributor to the award-winning science website RealClimate.org. Kathleen Dean Moore is a philosopher, environmental advocate, and writer. 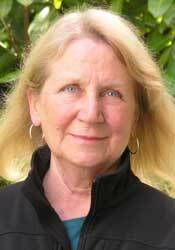 As Distinguished Professor at Oregon State University, she lectured in philosophy of law and environmental ethics. But her growing alarm at the devastation of the planet led her to leave the university to speak out in defense of the lovely, reeling world. Her most recent book,Great Tide Rising: Toward Clarity and Moral Courage in a Time of Planetary Change follows Moral Ground, testimony from the world’s moral leaders about our obligation to the future. Other award-winning books celebrate and explore the meaning of the wet, wild world of rivers, islands, and tidal shores –Riverwalking, Holdfast, Pine Island Paradox, and Wild Comfort. She writes from Corvallis, Oregon and Alaska. The core of Richard Lord's practice for over 25 years has been commercial litigation and arbitration, with a particular specialization in insurance and reinsurance, dry shipping, commodities, energy and professional negligence claims. 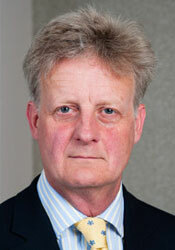 He has appeared in and advised on numerous cases in tribunals from The House of Lords (Supreme Court) to the High Court in The British Virgin Islands. His 'home territories' are the Commercial Court in London and International Arbitrations, including ICC, LCIA, LMAA and Bermuda form arbitrations. Richard is co-editor (with Silke Goldberg, Lavanya Rajamani, and Jutta Brunnée) of Climate Change Liability: Transnational Law and Practice, Cambridge University Press, 2012. Richard's bio will be coming soon. 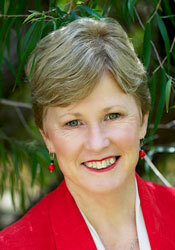 Christine Milne is an environmental activist and campaigner for strong action to address global warming. Christine was appointed to Australia’s first Greenhouse Gas Council in 1990. Elected to Parliament in 1989, her distinguished career culminated in the leadership of the Australian Greens, where she championed ecosystem protection and rapid transition to renewable energy and a low carbon economy. In the Australian Senate she led the opposition to new coal mines and drove the passage of Australia’s Clean Energy Legislative package. Christine recently retired from the Senate and has been appointed as a Patron of the Australian Solar Council, Ambassador for the 100% Renewable Energy Campaign of the World Future Council, and Ambassador for the Global Greens. Christine's bio will be coming soon.